Rudolph Tire is known for delivering to our customers what they want, when they need it, in an easy-to-do-business way. To use the app, sign in with your existing Rudolph Tire account to access your cart and place orders conveniently from your mobile device. Search our entire inventory of passenger, light truck, SUV, medium truck, trailer, lawn and garden, and utility tires. 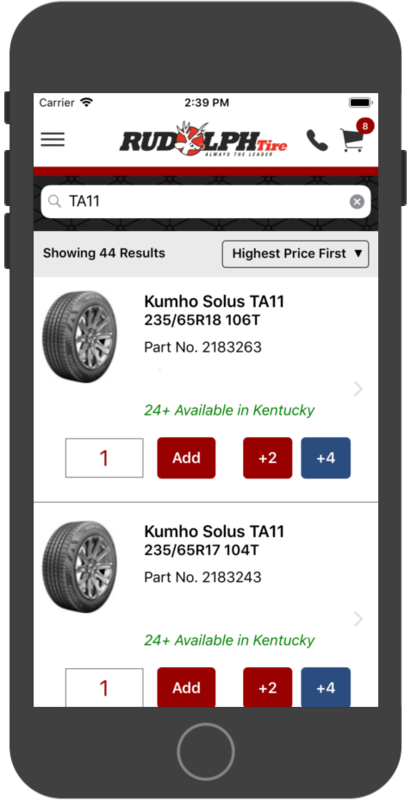 Place orders, track pending orders, manage your cart and view invoice history with the Rudolph Tire App. View our current specials and promotions at any time and stay up to date on everything Rudolph's has to offer. We were founded August 8, 1981, on one simple premise. Sell quality tires, price them competitively, service customers well and quickly deliver a great selection.